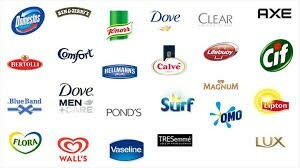 Unilever is a global conglomerate that makes a number of brands that are household names: Ben & Jerry’s, Q-Tips, and Dove soap, to name just a few. And the London-based company may become even better known for its aspirations to become completely energy neutral. And, to do it by occupying buildings that generate more energy than they consume. In a whitepaper written for CoreNet Global, Unilever detailed its goals and provided case studies of recent efforts. “Unilever’s achievements to date have been an example of a corporate multi-national that is environmentally and socially responsible. The intent being to lead by becoming ‘carbon neutral’ in their operations by 2030,” the paper said. Unilever has already reduced carbon emissions per ton of production across its key manufacturing sites worldwide by 65% compared to 1995 levels. The paper was written by Johan van der Walt and Mauritz Kruger. Recently, Unilever occupied a building in France that is the largest positive-energy commercial property in France with a net floor area of 35,000 square meters, comprising six floors and three underground levels. It produces more energy than it consumes thanks to geothermal and Thermal Active Building System (TABS) technology that captures and stores thermal energy (cold or heat) from the groundwater. The building also has embedded energy generation capability with 4,000 m² of photo-voltaic (PV) solar panels on its roof. These Solar PV panels save 90,000 kg of carbon equivalent annually on the Paris electrical power grid. The company is embarking on several other projects, including in South Africa, where it aims to maximize the benefits of solar energy.